The review: A long time ago there was The Long Road, or "Red 1", not a very good map but it was the beginning of a series that'd inspire many imitators. 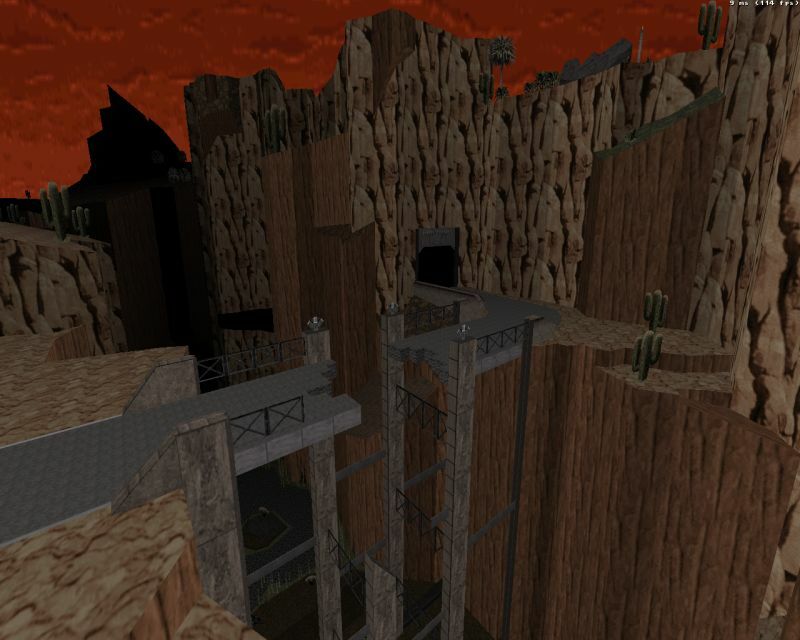 Two of this site's Top 5 maps are from this series despite the fact that it's been nearly a decade(!) since the latest installment was released. This remake of Red 1 is an attempt to give the series the first part it deserves. Duke begins his adventure the way he usually does, surrounded by aliens and pornographic magazines. Not having enough bullets to shoot his way out, he resorts to the Grand Strategy of the Italian Army, a tactical withdrawal. After such a sudden start, things calm down a bit. The map has a nice way of sending monsters your way in small batches. In a true Red fashion, there are considerable lulls in fighting, allowing the player to enjoy his surroundings. The map's mood is boosted by Maarten v. Oostrum's custom soundtrack that does a good job at capturing the map's feel. 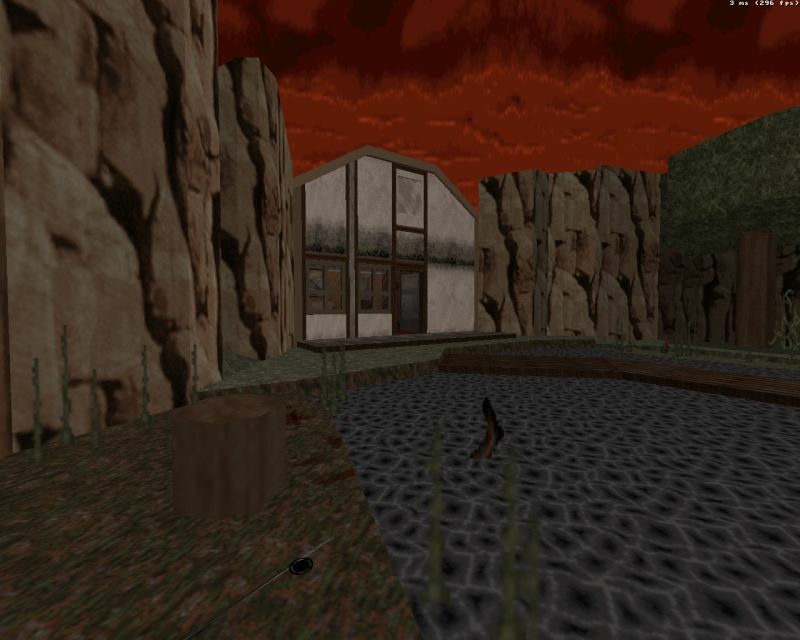 However, the map is not quite filled with the kind of effects that still make Red 3, 4 and 5 stand out as some of the best atmospheric maps out there. Here the approach is more modest, which is fitting for a first map in a series. The map borrows several locations and its desert setting from the original but its miles ahead in design. The map also has something for everyone: open desert roads, confined houses, large caverns, etc. 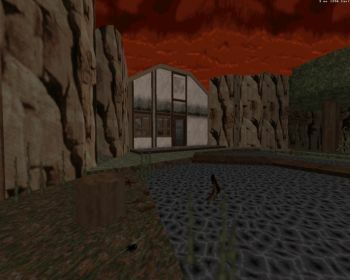 The map should take you about 15-20 minutes and it comes with a good item-monster ratio and, as a bonus, the original Red 1. The Red series finally has an opening number it deserves. It's not as ambitious as some of the other installments but that's excusable: considering the rest, Poisoned Lands is calm before the storm.